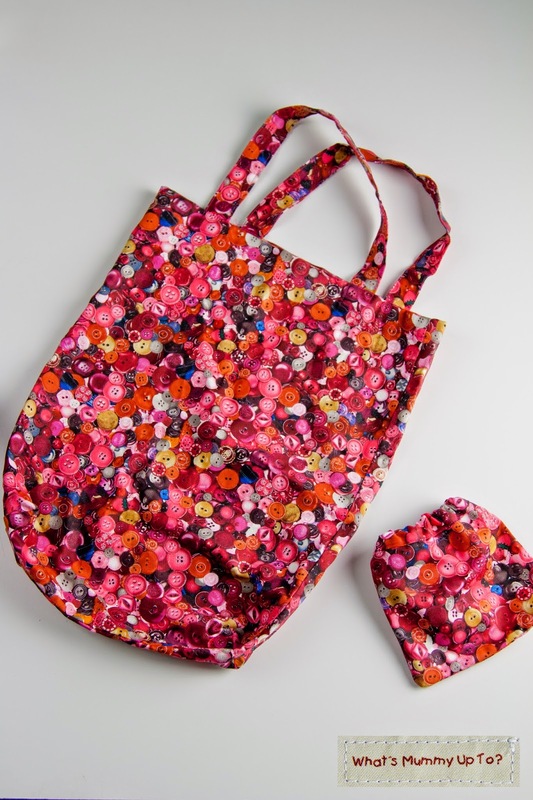 You might recognise the first bag design from her last post about beanbags for Christmas … oh and in case you're wondering, Mummy's Mummy still has a couple of sets of beanbags available at my shop! 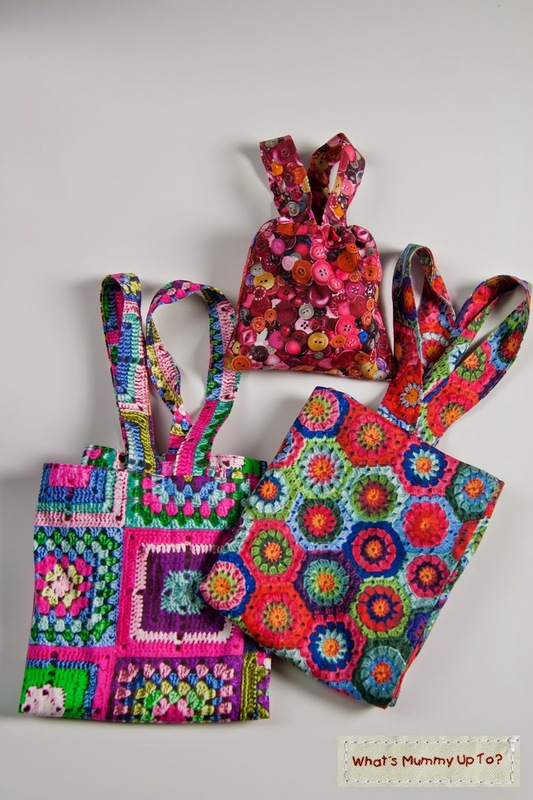 Anyway, thanks Nanna for sharing these fun, quick and simple bag designs … over to you!! a. 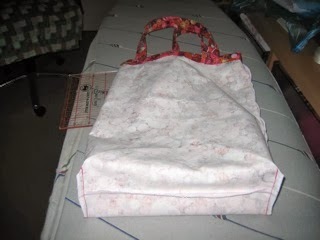 Decide on the size you need the bag to be, and get a piece of fabric big enough. 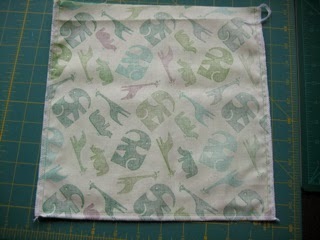 My finished bag will be 8” wide x 9” long. 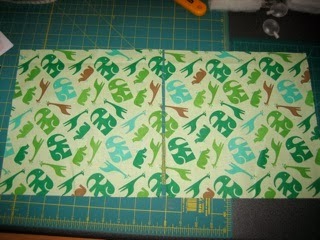 c. Place fabrics together with the right sides facing. Machine sides and bottom (two long sides and one short side), pivoting at the corners. 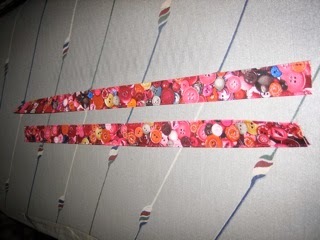 Overlock or zigzag raw edges. Press. d. Neaten top edge by overlocking around opening. 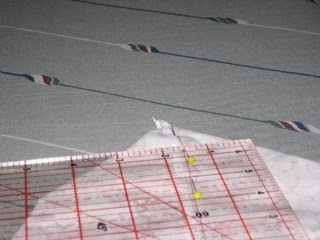 Turn 1/2” hem to wrong side. 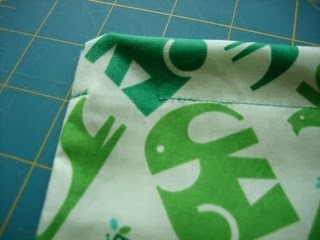 e. Starting at a side seam, machine around top hem, finishing 1” before starting point. Press. 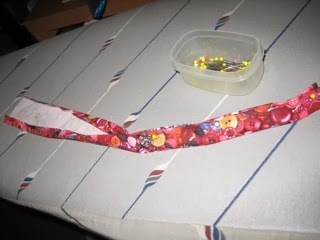 f. Thread ribbon or cord through hem. Knot ends together. You're done! This bag was ideal for packaging my bean bags at Christmas last year. In a larger size it makes an excellent Library bag. 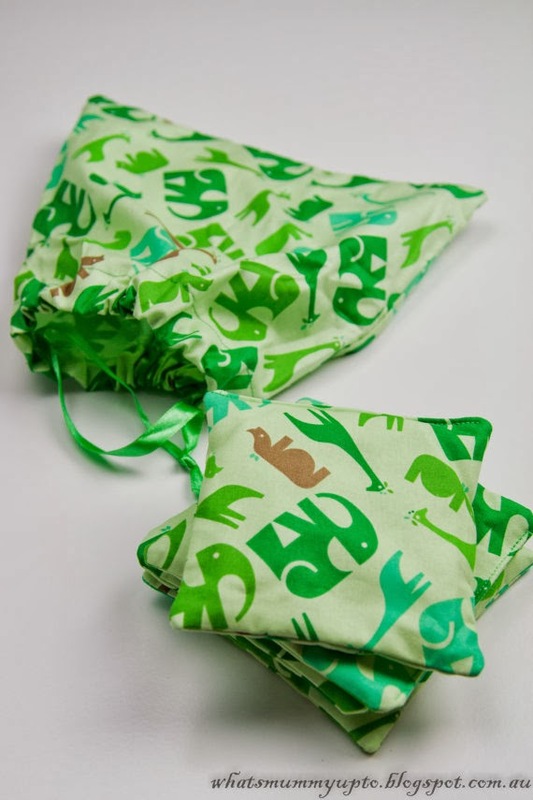 You can buy these cute animal-print beanbags in their drawstring bag here. 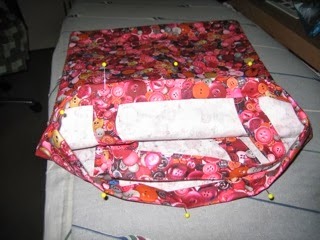 c. To make bag: With right sides together, machine the 2 long sides and the base. Neaten edges by overlocking or zigzagging. Turn right-side-out and press. d. Turn ¾” at top edge to wrong side (press) then another ¾” (press). Pin in place. e. To make handles: press ½” along each long side to wrong side. Pin edges together so that finished handles are 1” wide. Press. 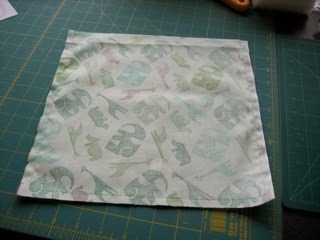 f. Machine pinned edges, then machine along folded side. Machine second handle. 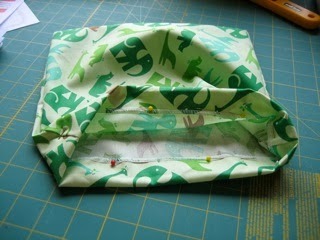 g. Position handles on top of bag, tucking raw ends into top hem. 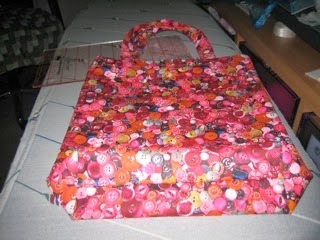 (I usually mark the centre of each side of the bag and place the handle half way between centre and side seam). Machine top hem in place. NB handle will be inside bag at the moment. h. Turn handles up so that they are out of bag. 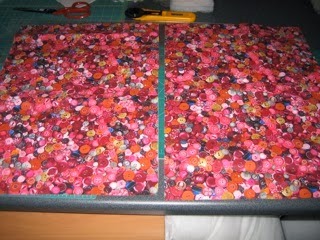 Pin in position (check handles are the same length) and machine a square around each handle end to secure it in place. j. 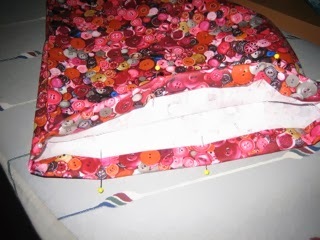 Draw a straight line across corner so that 1 ½” is on either side of seam line. k. Machine across drawn line, reversing and resewing stitching. 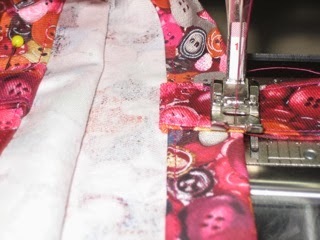 If you want to reduce bulk, the corner can be trimmed and neatened by overlocking. Repeat with other side. 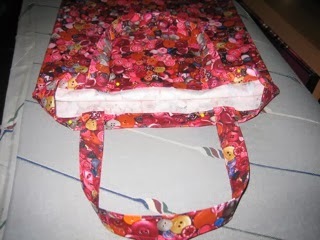 This bag is easily folded up and carried in your handbag to use as a shopping bag. 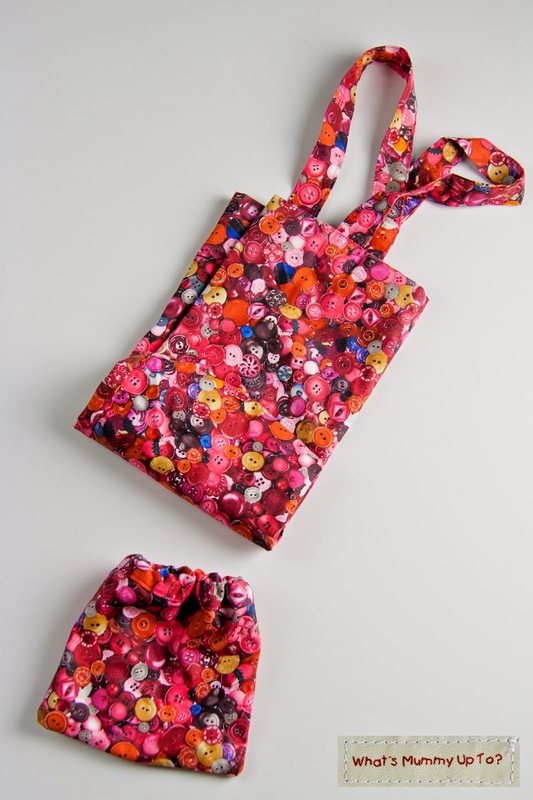 You could also store it in a small draw string bag that has elastic rather than cord through the top. What a good present idea!! 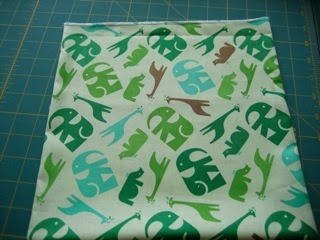 Oh, and how fantastic are these fabrics ... I let each person choose the bag they wanted to receive their Christmas gifts in last year. Bethany chose the fabric that looks like crochet granny-squares, Hannah chose the buttons and Wen chose the Crochet Hexagon fabric. 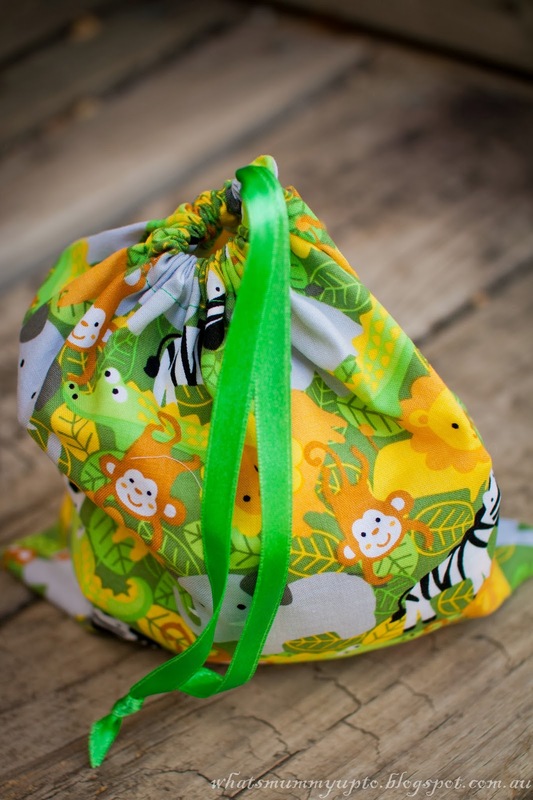 Great idea to make the little drawstring bag to put the shopping bag into. 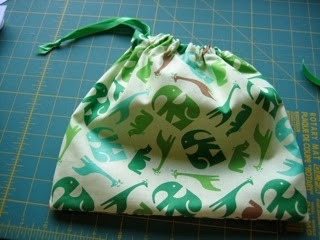 I love giving gifts in fabric bags I've made. Two great bag designs. 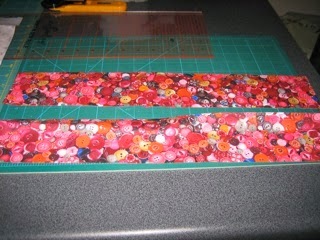 This is such a fabulous idea and a great little tutorial too. Thanks for sharing. 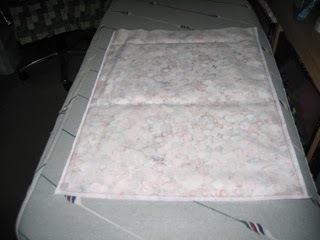 I have just started to teach myself how to sew and I found your blog through the Threading My Way linky party.